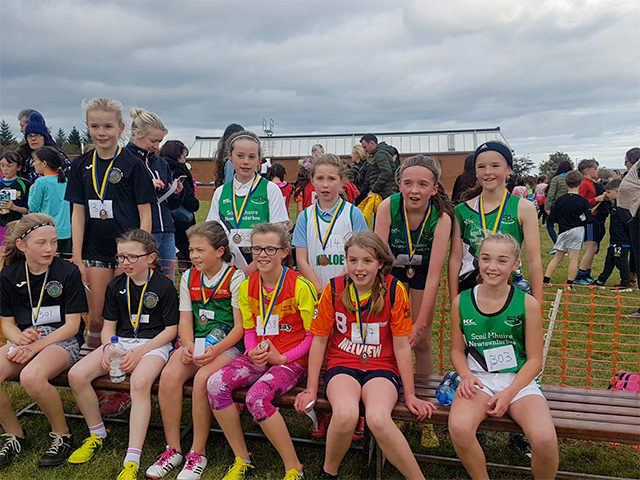 A small but dedicated group of Longford Athletics Club Juvenile athletes travelled to Sligo last Sunday, 4th November, to compete in the annual Even Ages Connacht Cross Country Championships. First up were Rachel Keenan and Emma Brennan in the U12 girls 2K race. Both girls are still U11 so they were running in an age group one year up. After a blistering start both girls ran really well over the tough cross country course. 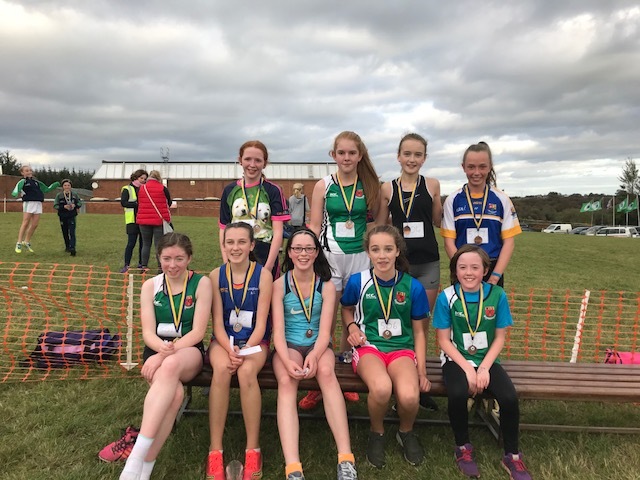 Rachel did very well finishing in 9th place, winning a bronze medal and qualifying for the Athletics Ireland National finals in 3 weeks’ time. Emma who was running her first Club cross country race showed great potential to finish 20th with girls a year older. 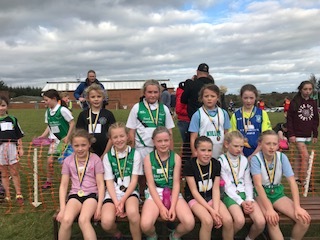 This was good practice for both Rachel and Emma as they will be back in action next weekend in their own U11 age group running the 1500m race in Ballina. 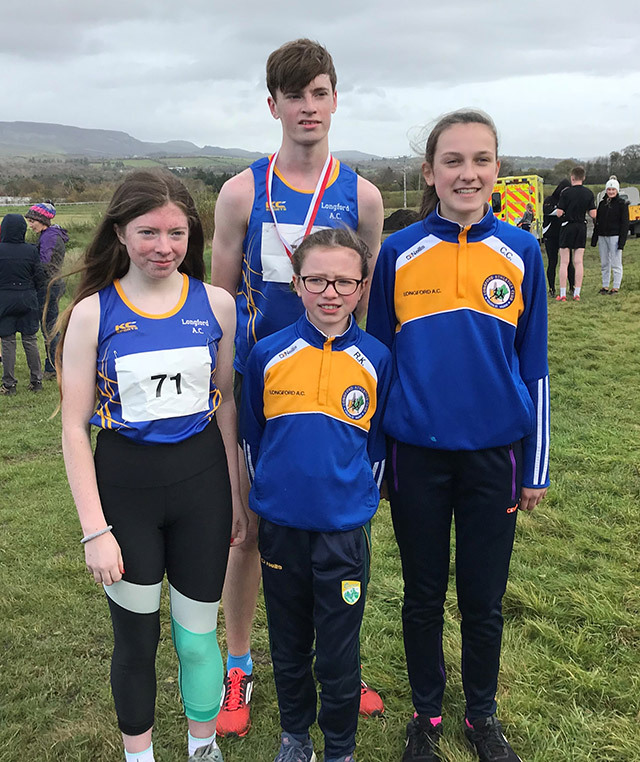 Longford Athletics Club juveniles Kate Hagan U16, Cian McPhillips, U18, Rachel Keenan U12 and Caoimhe Crossan U14 all competed in the Connacht Even Ages Cross Country Championships last weekend at Sligo Racecourse with several qualifying for Athletics Ireland National finals at the end of November. Caoimhe Crossan ran in the U14 girls 3K race. Again this race over two difficult laps started at a hectic pace. Caoimhe settled into her running and moved through the field strongly on her second lap to finish in the top half in a very good 24th position. Kate Hagan ran in the combined U16, U18 and Junior girls 4K race. Kate is still U15 this year so this race saw her running against girls much older. She went out fast and was always near the front of the race. It was difficult for Kate to know where she stood in her own age category in this mixed age race so taking no chances she ran hard all the way to the line. When the results were posted Kate was delighted to have finished 5th place in U16s ahead of many talented older athletes and has qualified for the All-Ireland again this year. 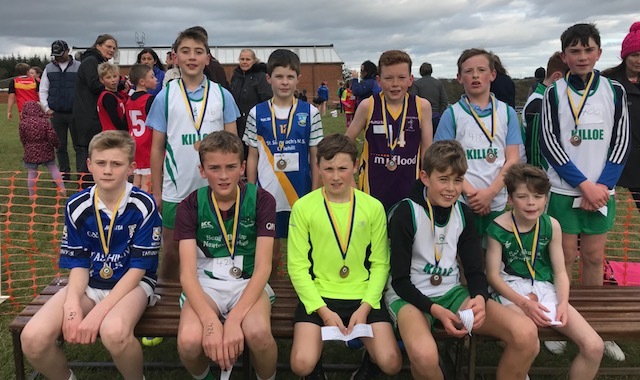 The final Longford AC juvenile to run was Cian McPhillips running a year up in the U18 boys 6K race which was combined with the Junior boys U20 race. Cian settled on the shoulder of one of the best U20 athletes in the country early on and they both quickly moved clear of the other competitors. Cian looked very comfortable as he matched this quality athlete three years his senior stride for stride for the first two and half laps until he pressed on and opened up a 40 meter gap to win comfortably, taking Gold in U18 boys and guaranteeing another day of running in the National Championships. Cian will also be competing next weekend in Mayo in his proper U17 age group. 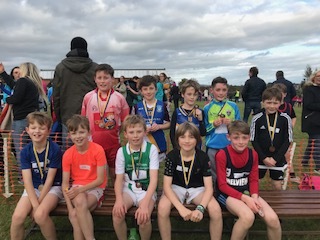 Well done to our juveniles that competed very well today and were prepared to challenge themselves against the best in Connacht on a testing cross country course. 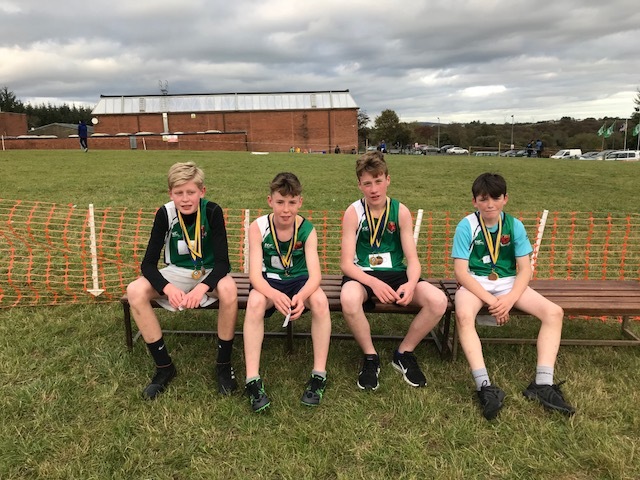 Three have qualified for All-Ireland competition at the end of November with another Provincial race for Uneven Ages on the calendar for next Sunday.